When adding on to an existing kitchen, even if you are able to get the same manufacturer, door style and color, with age, the same new color will never quite be the same as the original. There is a great deal of difficulty when trying to match existing cabinetry when it’s an older kitchen, just from natural wear and tear alone. It’s why a lot of people just start all over when they expand their kitchen. If you can’t find a solution you like, it may be in your best interest to consider starting from scratch. However, there are alternatives that would allow you to just to add cabinetry without starting all over. Sometimes an older cabinetry door needs to be replaced. But cabinet doors cannot be replaced and expected to match the originals next to it. If you can get a matching style door, painting all of the cabinets might be a possibility. The only way around the color problem is to understand that the new color may or may not “catch up” to the original. If you are looking to add an island or more cabinetry on another wall, one possibility to consider is creating a “two-tone” design. 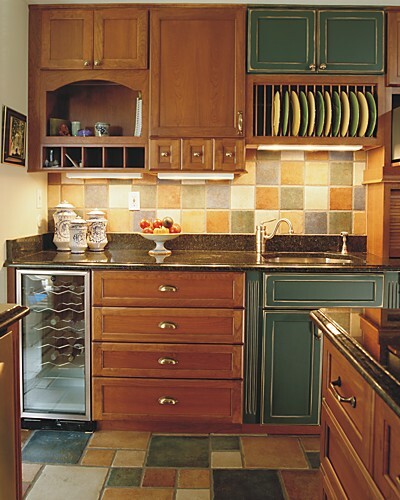 The idea is to add new cabinetry to your kitchen that is complementary to the existing elements. There are many different color palette options you can choose from. Contrast adds liveliness to the room. It can be a touch of the unexpected, but when done correctly it blends together beautifully. 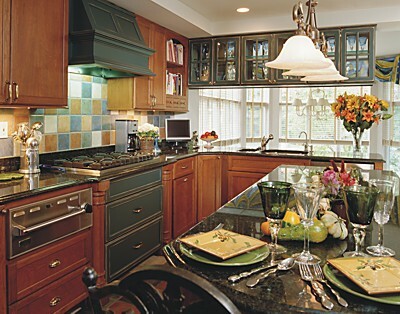 Consult with a Kitchen Views designer to see what innovative solutions they can suggest. Like adding a new ingredient to a favorite recipe, you can improve the original by adding something new.